This is a treat!" Michelle Obama gleefully exclaims to host James Corden as they drive around the White House grounds—tailed by a Secret Service car—“rocking out" to Stevie Wonder and Beyoncé for Corden’s YouTube show Carpool Karaoke. “She is so chill", “There will never be another First Lady this cool", viewers gush in the comments section. In her autobiography Becoming, Obama reveals that she had “practised diligently for (the) karaoke session for weeks, memorizing the beat to every song". Of all the life lessons she has sought to get across to young women, it might be representative of her truest—practise, practise, and you will eventually own it, even to the point of spontaneity. Becoming was always going to be the book of the year, never mind the mid-November release date. By the end of the month, it was already a best-seller in North America and several European countries. Obama herself has been on a rockstar-style tour to promote it, speaking to packed audiences at ticketed events in the US and Europe. From the business point of view, it is the sort of mass appeal “Big Book" that helps subsidize niche literary fiction and makes experimental, risky publishing possible—an outcome Obama, with her interest in encouraging unheralded artistic talent, will no doubt be pleased to have potentially contributed to. Typically, a much-awaited memoir of this nature is riddled with platitudes and half-known facts that are conveniently marketed as The Big Reveal. But one can trust Obama—ever alive to the burdens of history as well as opportunities to build legacy—to take something essentially performative and infuse it with her kind of relatable authenticity. Till this strain of authenticity endures, the appeal of Michelle survives. 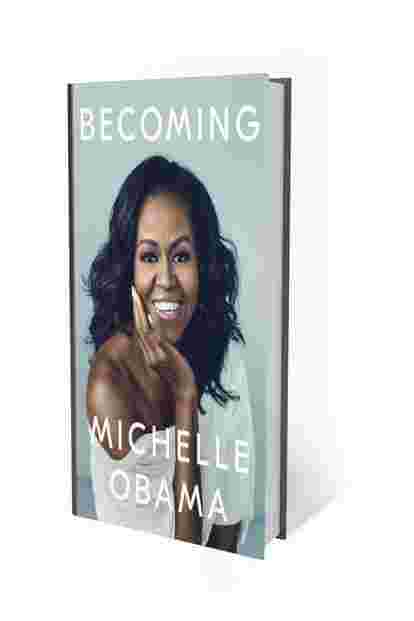 It is on ample display in the first part of the book (titled “Becoming Me"), where Obama writes with novelistic impressionism of her formative years as a girl growing up in the South Side of Chicago, managing to elevate specific descriptions of family life to a touching portrait of black lives and social mobility (and the lack of it) in 1960s and 1970s Chicago. Scenes have an almost cinematic quality—a whole chicken being fried while the family listened to “Aretha or Miles or Billie" on the stereo; rare drives downtown when she had the feeling of them “travelling like astronauts in the capsule of (her) father’s Buick"; facing the steel-grey chairs “arranged in neat orderly rows" on the evening of her first piano recital. Her sense of the injustices of gender and race and class crystallized in the Ivy League institutions she later attended—this was a world where “lacrosse was a thing" and men dominated class discussions, “floating on an ancient tide of superiority, buoyed by the fact that history had never told them anything different." Barack, who sauntered into her life as a summer intern at the law firm where she was an associate, was different, a “deadly combination of smooth and reasonable". He was the “wind that threatened to unsettle everything"—and he did. He caused her to question her carefully constructed existence, one which she had built “like some tight and airless piece of origami", tucking in every loose fold and whimsical bit. In the book’s dedication, Michelle thanks her husband “who always promised an interesting journey". And “Becoming Us", the middle segment, is evidence that Barack lived up to his promise. When a “solitude-loving individualist marries an outgoing family woman who does not love solitude one bit", things are bound to not be staid. There were Friday night dates, frustration and wonder on a trip to Kenya to meet Barack’s grandmother, couples’ therapy sessions, Michelle’s realization of the “acute burden of being female" as she undergoes IVF treatment to conceive. Of all this she writes—to adopt the writer Chimamanda Ngozi Adichie’s description of her in an October 2016 piece for The New York Times Style Magazine—with the air of a “woman who could balance a checkbook, who knew a good deal when she saw it, and who would tell off whomever needed telling off." Despite her distaste for politics, she threw herself behind her husband’s presidential campaign, humanizing him and herself and their peoples’ history. Her misgivings about the dirt and smear involved in political campaigning were to come true, with sections of the media quick to stereotype her as the Angry Black Woman. Realpolitik, and the unspoken laws of race and gender, demanded she blunt herself a little bit, put out a version of herself that was more acceptable to the masses. This, too, she did on her own terms, exposing herself more personally to the vulnerabilities of voters. At roundtable discussions and public events, she met teachers and injured veterans, learning that “it is harder to hate up close." And then, on 4 November 2008, history was made. The final segment of the book, “Becoming More", is an account of Obama’s next eight years as the first black First Lady of the US. This part feels more than a little familiar, given that it is the stuff of contemporary history and popular culture. After all, the Obama presidency was the first to live through the rise and rise of social media, of prime time on Ellen, late shows with Stephen Colbert and, of course, karaoke with Corden. There is some behind-the-scenes trivia about projects that Michelle spearheaded from the East Wing, especially those focused on healthy eating and veteran family support. These are more fun to read about than the official-sounding segments where she inevitably details the achievements of the presidency, and justifies its shortcomings. But this is hardly a quibble—we’re all in for the Michelle Obama show, because as contrived as the setting might be (there are a couple of delightful bits about her meetings with Queen Elizabeth), the girl from the South Side somehow manages to keep it real.